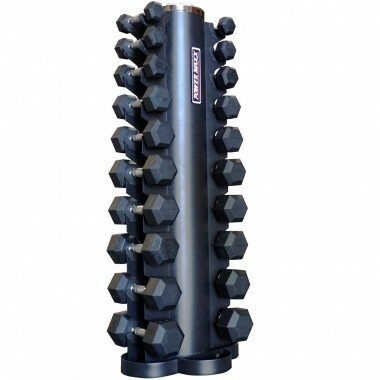 Rubber Hex dumbbells are a great compliment for any gym. Beginners get a good spread of lighter weights and advanced trainers have access to lighter dumbbells for warm ups, rehab work and so on. The weights are welded into place and use a a durable rubber casing. 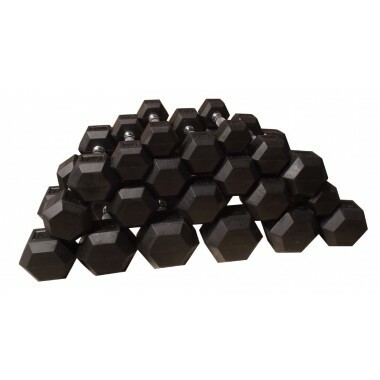 Unbeatable price for a rubber hex dumbbell set of this quality. 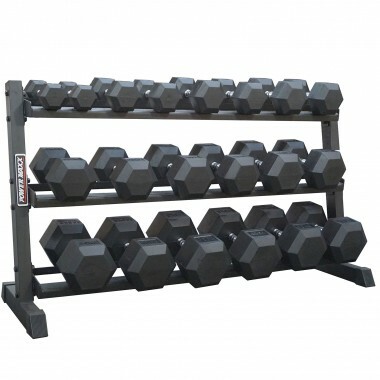 10 pairs of commercial quality dumbbells with a very impressive looking stand. Our rubber hex dumbbells have always been the best on price, but now with the new matt black stand they are by far the smartest. Quality at an unbeatable price. 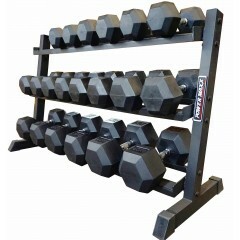 Great set of dumbbells for an advanced trainer. 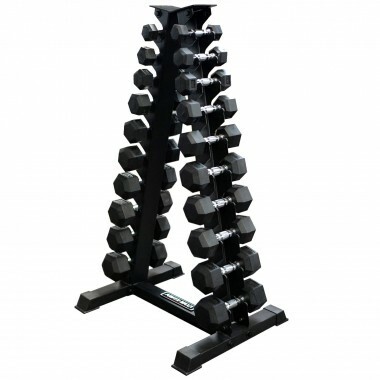 10 pairs of rubber hex dumbbells, in 2.5kg increments, with 2 tier dumbbell rack. 10 pair rubber hex set for the advanced trainer. 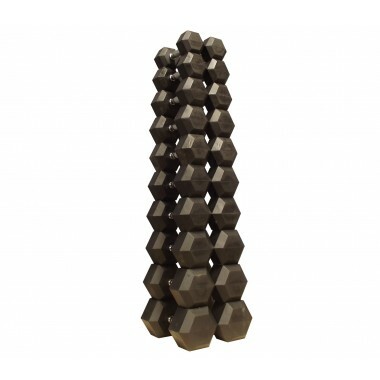 10 pairs of commercial quality rubber hex dumbbells on a sleek looking stand. 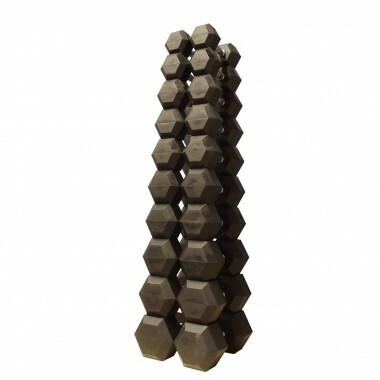 10 pairs of rubber hex dumbbells. 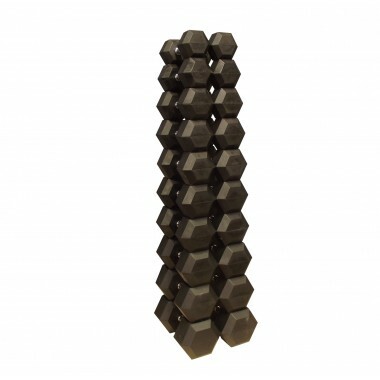 10 pairs of rubber hex dumbbells. Stand not included. 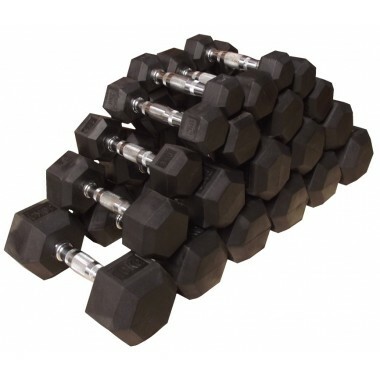 10 pair rubber hex dumbbell set. 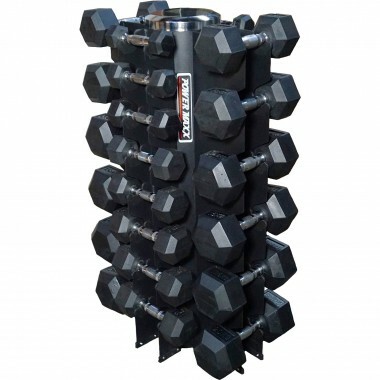 10 pairs rubber hex dumbbell for the advanced trainer. 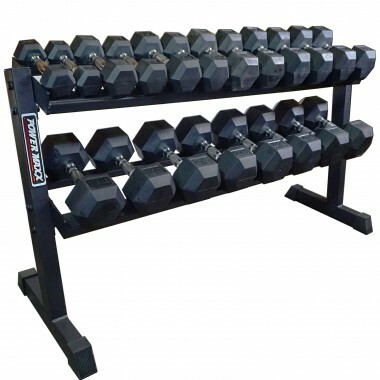 10 pairs of commercial rubber hex dumbbells.